It is difficult trying to find the best ACCUPLACER study guide. With so many different preparation guides on the market, it is difficult to decipher which ones are the best around. There are so many different options and possibilities to choose between. 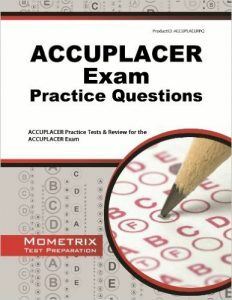 The ACCUPLACER, by the CollegeBoard, is a tough exam, and having a good review book is essential. All of this is why I have created this list of the top books to prepare for the ACCUPLACER exam. All of the info below, researched over many hours, should make it quick and easy to choose which prep book is right to be recommended for you. 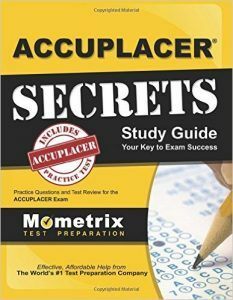 ACCUPLACER Secrets Study Guide is our number 1 best overall and best value practice book on our list of the top rated review guides. 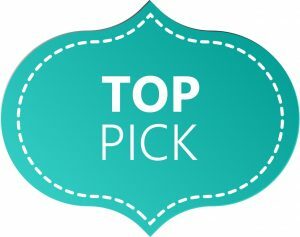 This review guide really focuses a lot on test taking strategies and techniques. These strategies give you a process to eliminate wrong answers on the exam. Sometimes on a test you may not be 100% certain of a correct answer, and in these cases educated guesses are really a big help. It really improves your score to get 75% of the questions right that you are not sure of, instead of just 25%. This review guide also gives tips for the different tricks that the test writers will throw you. As you very well may know, a lot of standardized tests try to make you slip up on questions that seem easy, but under the surface are actually more difficult. Another great positive of this review guide is the in-depth and comprehensive review. Many prep guides skip on their overview of the subjects, but this prep book does not. All of the different themes on the test are explained in detail. Nothing is left out. This definitely leaves a good feeling in your stomach on exam day. One main flaw of this review book is that it only includes one practice test. Repetition is a good way to prepare yourself for the exam, but this prep book just gives the bare minimum. Even though this prep book has this one flaw, it has many strengths make up for it. Because of this, we rank Secrets Study Guide as our number 1 best overall and best value prep book on our list of the best ACCUPLACER review guides. ACCUPLACER Study Guide 2016 is our 2nd top rated overall prep book on our list of the best ACCUPLACER study materials. This preparation book was written to give you the best bang for your buck in terms of time spent studying for the exam (hopefully giving you enough time to have that late night, mid-study Starbucks run). It is geared towards those students that may not have very much time to study for the test. Its streamlined and concept driven layout gives you better results with less time. Even though this prep guide is short and concise, it still has everything that you need to know are the exam. Nothing is left out. If you’re looking for a review guide that has everything you need to know and nothing that you don’t, this would be to prep book for you. Many prep books are either concise or thorough, but this review guide is both! One week point of this review book is that some of the practice questions are dissimilar to those that are on the actual exam. These questions may leave you scratching your head in confusion on test day because the actual exam problems seem unfamiliar. The positive thing is that this only occurs for some of the practice problems, and not all of them. Because of this we rank ACCUPLACER Study Guide 2016 as our number 2 best overall prep book on our list of the best review books. 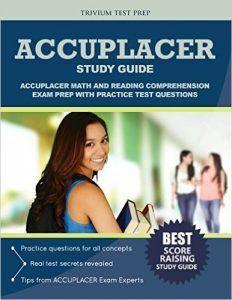 ACCUPLACER Practice Tests is our budget pick prep book on our list of the best preparation books. This prep book is structured in a question-and-answer type format. With 350 practice questions, this prep guide has the most sample problems of any book on our list. All of these practice questions are very similar to what you will face on the exam. You will go into exam day knowing that all of the questions will be familiar, thus making it a lot easier to score higher on the exam. Repetition breeds familiarity, and this preparation guide certainly gives enough practice problems to accomplish that. Along with the practice problems, you will get great answer explanations. There is no better way to learn than to learn from your mistakes. Since this book is in a question-and-answer type format, there is no in-depth concept review. Instead of a subject review, this prep book goes over question after question, giving the answers along the way. If you are looking for a topic overview in your review guide, you may need to pick up a supplemental prep book. Because of this we rank ACCUPLACER Practice Tests as our budget pick prep book on our list of the best books to study for the ACCUPLACER. - Practice questions are "exam-like"
ACCUPLACER Exam Practice Questions is our 4th best overall prep book on our list of the best prep guides. Like our number 3 pick on our list, this review guide is also focused on providing a question-and-answer type format. Practice questions are a great way to study for the exam since that is what you will experience on the actual exam day. Getting all of these repetitions in will allow you to build your confidence for when you take the actual test on exam day. All these practice questions also have great answer explanations. These answer explanations really go into great detail on what answers are correct and which ones are not correct. Learning from your mistakes is one of the best ways to learn. Like the prior pick on our list, this prep book also does not have an in-depth subject review. Sometimes it is useful to review the entire topic before going through the questions and the corresponding answer explanations. This preparation guide does not provide that. Also, this review guide is not in a very user-friendly format. You have to switch back-and-forth between the questions and the answers, they are not together one right after the other. This sometimes makes it difficult to stay focused while studying. We rank this preparation book as our 4th best overall prep book on our list of the top rated ACCUPLACER review guides. 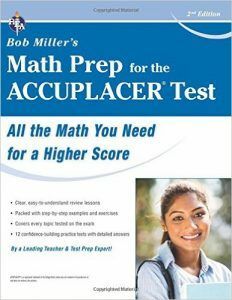 Bob Miller's ACCUPLACER Math Prep is our top pick for math prep book on our list of the best preparation guides. As referenced in its title, this review book is focused on the math sections of the exam. It goes into great detail on the different math topics, making all of the difficult segments seem easy. At 400 pages, Bob Miller's Math Prep is the longest preparation book on our list. And that is just for math review. All this length gives a plenty of space to go over each math topic in excruciating detail. You will not be surprised by topics on exam day that you have not covered in your study. This prep book also has a highly targeted, lively, and easy to grasp style, perfect for students of all skill levels. This style makes this prep book really easy to pick up from where you left off, making it the perfect choice for studying on the go or in between classes. As you can probably guess, the one main weakness of this preparation book is that it does not cover the other sections of the exam. If you’re looking for an in-depth review on the different sections of the exam, you may need to purchase a supplemental guide. Although it lacks these other subjects, this preparation book definitely makes up for it in the math units of the exam. If your only weakness is math, this prep guide would be perfect for you. Because of this, we rank Bob Miller's Math Prep as our best overall math prep book on our list of the top ACCUPLACER prep books. Purchase ACCUPLACER Secrets Study Guide if you are looking for the top rated overall and best value study guide. 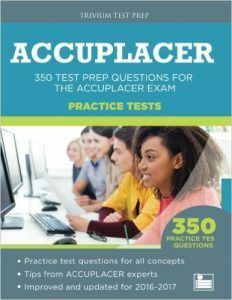 If you are looking for a lower priced study guide that covers the topics in a question and answer type format, then pick up ACCUPLACER Practice Tests. And, of course, if you are looking for a prep book for the math portions of the test, buy Bob Miller's Math Prep.